Another day of fasting, another success. yes, amazingly I managed 500 calories today. I did find it really difficult, mainly I think because I felt so tired after my lovely weekend. I went for the same strategy as before i.e. eat nothing all day and save the calories for supper. 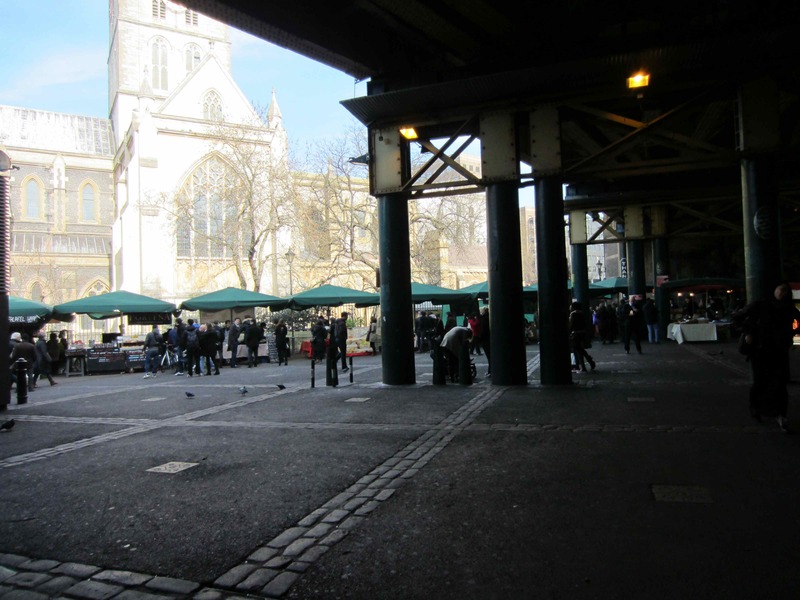 I was in the office near Borough Market so I popped out at lunch time for some wheatgrass and to choose some lovely veggies for dinner. 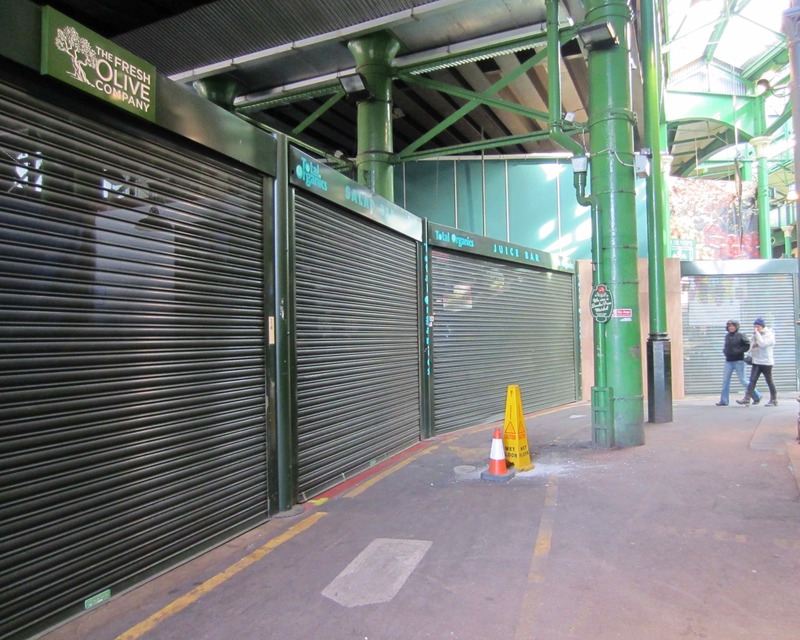 Forgetting that most of the market is shut on a Monday :-(. When I discovered a few hardy stall holders braving the elements, I realised I had left my purse in the office so went back empty handed. Disappointed about no Monmouth – black of course! 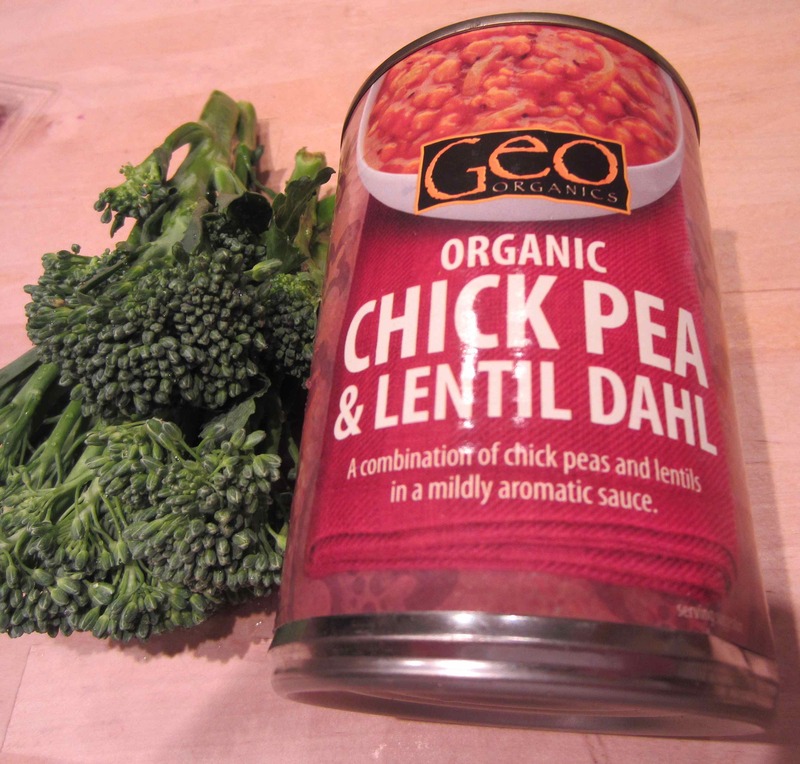 For dinner tonight I had 250g of this chick pea and lentil dahl with 100g broccoli. Served over 180g brown basmati rice. It seemed like a huge plateful and I will go to bed tonight feeling very full. I calculated my calories perfectly tonight. 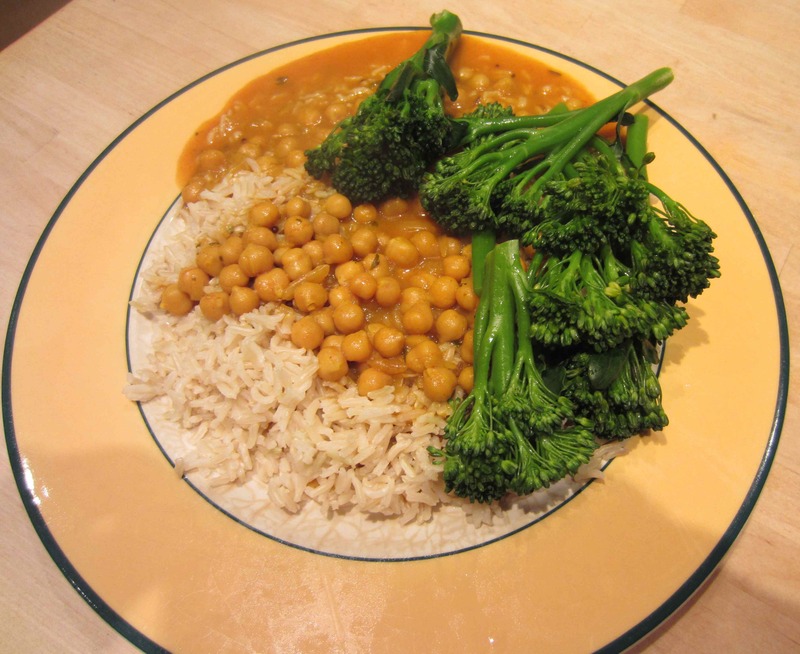 This entry was posted in Lose Weight, Uncategorized and tagged Broccoli, Brown Basmati Rice, Dahl. Bookmark the permalink. Bravo again on the new release to The Universe of 2 more pounds and counting. Zig Zagging the calories works. The increase on the weekend and now fasting today just gets the body out of its comfort zone and into burning extra calories at a more regular rate.